1. You’ll meet today’s greatest content marketing minds (and they can meet you!). The list of conference keynote and session speakers reads like a Who’s Who of digital and content marketing mastery. To name just a few: Bonin Bough, Marilyn Cox, John Burkhart, Arnie Kuenn, Ann Handley, Byron White (of course! ), Lee Odden, Joe Lazauskas…and so many more. Topics to be explored include storytelling, neuromarketing, email and social media marketing, comedy marketing…and, alas, so much more. 2. You’ll learn about what’s fueling the content marketing revolution. This is key. This is the theme of the event. It’s what’s drawing us all together. The art of content creation requires advanced skills, ranging from storytelling to style flexing to imagery selection and more. But how we create “art” has changed, even for artists. We don’t think deeply for metaphors or past experiences and create original work from scratch…and perhaps we should. Comedy is an art form in itself, requiring great skill to create and hard work to perfect. Humor has a tremendous power to not only connect and engage, but to convince and convert browsers to buyers, in mysterious ways. The intersection of science and marketing is upon us, with deep roots in data. Predicting behavior is now the norm, rooted in our past actions, likes, shares, follows, and loves. This creates an exciting future to potentially rid the world of all the bad content, products, and services. But keeping science on the fast track—and right track—will be the challenge. 3. You’ll laugh. A lot. Starting with our Comedy Marketing Keynote Series on the first day of the conference, you’ll be treated to insights into the use of comedy in content marketing. In fact, we’re hosting a Comedy Marketing Club event at the Laugh Boston theatre, featuring 6 of our CMC speakers and keynotes including Sarah Cooper, Tim Washer, David Nihill, Francesca Fiorentini, Andrew Tarvin, and Luna Malbroux. Best of all, Sammy Obeid is our headliner this year—a comedian, mathematician, and 2036 presidential candidate, sporting appearances on Conan and many more. Karaoke will follow, for even more laughs! 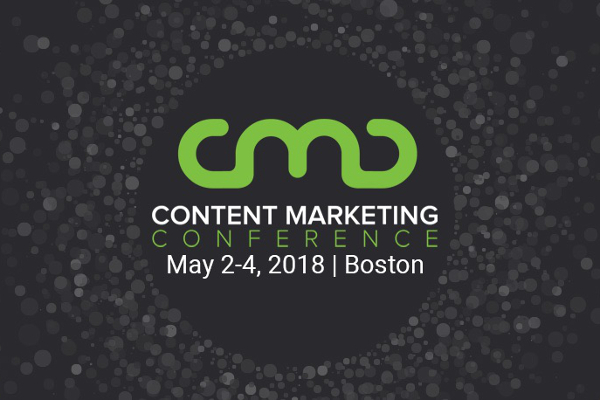 Check out the Content Marketing Conference website for all the details. The conference is almost sold out—so register now!